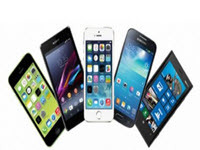 Once again 2 of the biggest brands in mobile phones have devices that can go head to head in comparison to providing interested buyers with the best possible device to ensure all your requirements are taken care of. The Samsung Note 7 was launched in Aug 2016 and has impressed with the features available with the new stylist and all the new abilities it comes with. 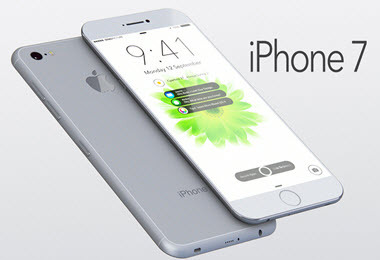 The iPhone 7 Plus is a bit younger with its launch date in mid-September 2016. Off the bat, both of these phones are impressive and include some amazing advantages in the world of daily business use and for fun with friends. However, as you might have heard, the Samsung has presented an issue where the phone actually explodes, and the iPhone 7 doesn’t have any earphones. However, both these issues will be addressed in this head to head comparison between the latest market leading devices. Regarding the size, both these phablets are very similar. However, the iPhone has the losing hand in this regard as it is a bit bigger, wider, and actually thinner than the Note 7. The differences are very small and won’t make much of a different when it comes to usage. The iPhone is also a bit heavier, but only 19 grams, which isn’t exactly a major difference either. Surprisingly, the smaller Note 7 has a bigger display (5.7”) than the iPhone 7 Plus (5.5”). In terms of technology, the Samsung has a curved display and features a Super AMOLED screen with the popular Samsung always on feature. The iPhone, on the other hand, has an LED-Backlit screen with wide colour gamut and the unique 3D Touch feature that can be amazingly helpful while browsing or gaining instant access to some of app features without actually opening the app. Regarding resolution, the Note 7 takes it hands down with 2540×1440 pixels compared to 1920×1080 pixels for the iPhone 7 Plus. Regarding the speed of these devices, there are actually many factors that come into play, including the screen resolution, which could slow down the Samsung Note 7. The iPhone 7 Plus features the first quad-core chip in iPhone’s history, which is included in their A10 chip that runs at 64 bit. The Samsung, on the other hand, uses the Snapdragon 820 chip that consists of an Octa-core and also runs at 64 bit. The Samsung might have a more powerful chip, but it will depend on any other factors to see which is actually faster. However, both devices are far ahead regarding speed, meaning both will be more than fast enough to perform any task within split seconds. The Note 7 is currently only available for a 64GB model, but it can be expanded with an SD memory card. Apple has decided to provide much bigger memory and eliminate the need for the additional storage cards with options including 32GB, 128Gb, and finally 256GB. While most would expect Samsung to be the leader here as they have always managed to impress in this regard, Apple has definitely brought their best with the iPhone 7 Plus. The Samsung provides a 12MP camera with an F/1.7 apertune OIS and dual-pixel AF, in all honesty the focus and picture quality is amazing and provide everything you need for the perfect memory. However, the iPhone comes with 2 12MP cameras that have been placed side by side, which provides a wide angle F/1.8 and telephoto F/2.8 OIS. The phone also comes with a quad LED trueTone flash. The iPhone has the better camera between the 2 devices and also provides better low-light detail in each picture you snap. There have been around 35 complaints about the Note 7 exploding, which isn’t a who lot as over 2.5 million devices have been sold at that point. According to reliable sources, the explosion was caused by the battery not regulating correctly when on charge. This happened with devices that were charging with both 3rd party chargers and Samsung charges. 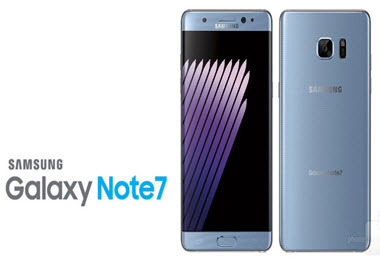 However, the company has recalled all the Note 7 devices that could be effected and replaced them, meaning is it no longer an issue. Apple has made the device thinner than before and replaced the earphone jackpot port with additional speaker holes. However, the port was apparently removed to provide a bigger battery and additional options with future devices. Apple does include a conversion plus that changes your charging port into an earphone jack. The company also provides new wireless earphones that come with a case that charges them. For those of you who already have wireless earphones, they will still work flawlessly with the new iPhone 7.